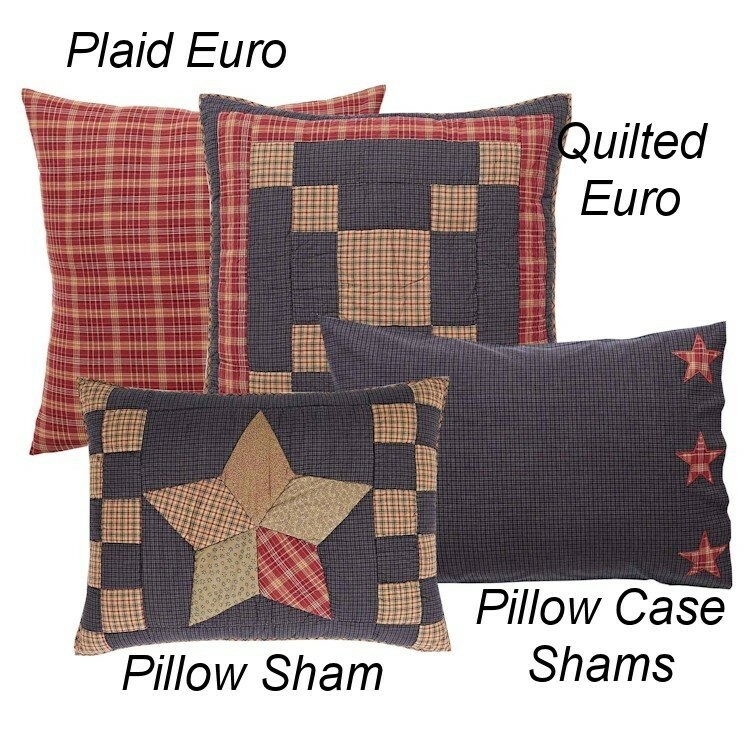 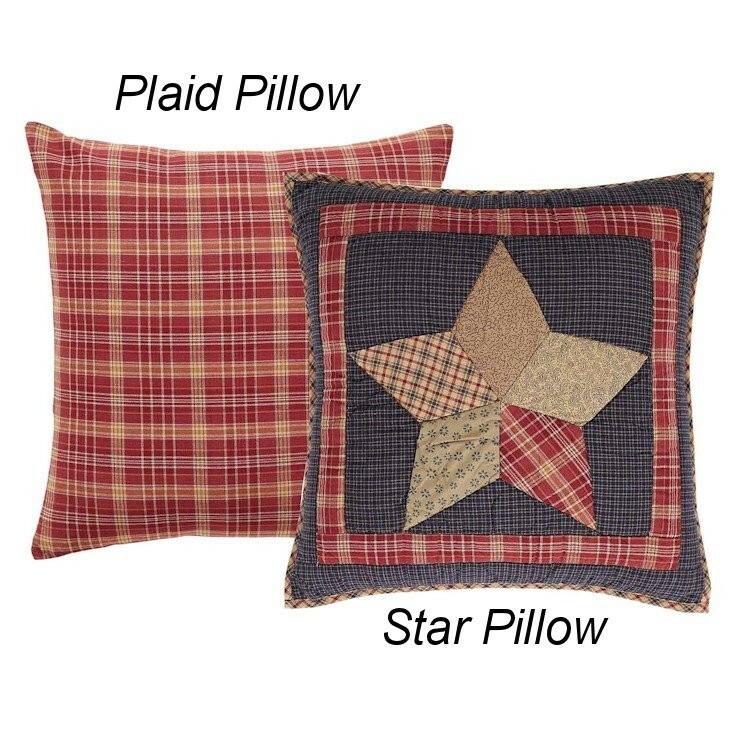 The Arlington Star Quilts feature six pointed stars in a variety of small cotton plaids that rest on a navy and tan plaid background framed by a diamond pattern of blocks. 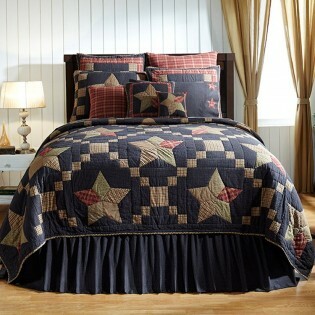 Predominate colors are navy, tan, dark red and shades of green. 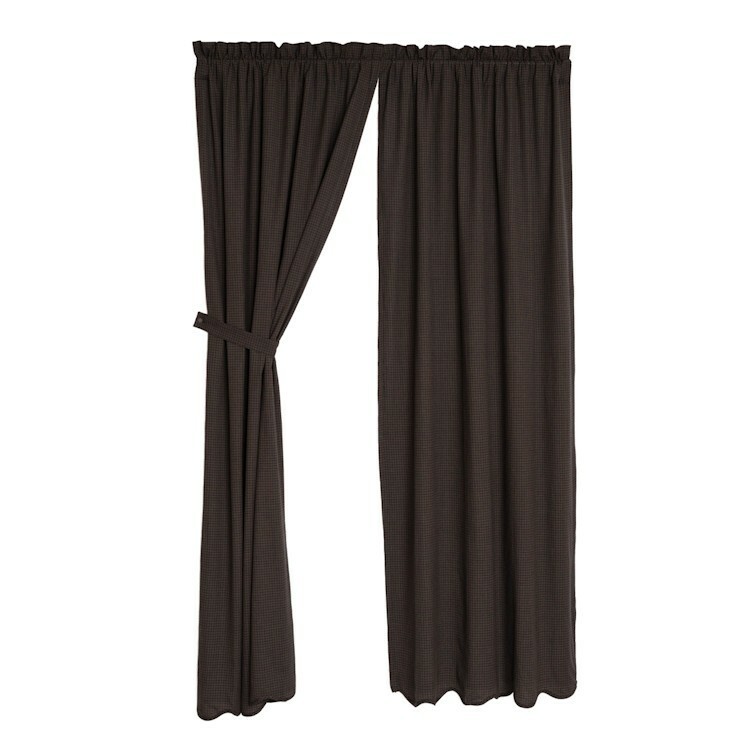 Complete your room with matching shams, throw and coordinating Drapes.